I have recently been working on several product photography shoots for furniture firms in Somerset. All produced high-end furniture, though their styles were very different. The above photograph is one of many taken, reproduced by kind permission of the commissioning company. 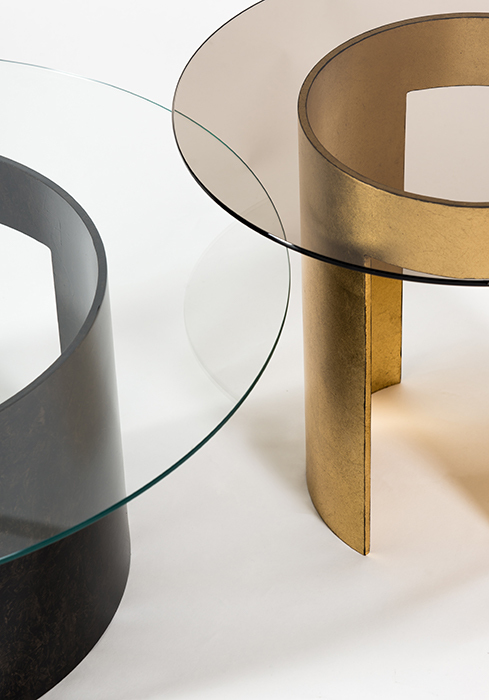 The producer of these items is a manufacturer of bespoke furniture which has overtones of sculpture, uses a wide range of materials, and includes gold and silver leaf finishes. The different companies wanted different treatments for their products. There were then variations within those requirements, presenting stimulating challenges for a photographer. These products were initially shot separately in a symmetrical style, to give a clear sense of their overall look and proportions. Close details and clusters, such as those in this shot, then followed, to give an idea of materials, colours and textures, and how different items might work together. A neutral, near-white ground has been used as background, under studio lighting, but this has not been completely burned out to the pure white used for some, usually more technical, products. Here, the white is subtle, with delicate shadows, to reflect the sense of refinement that the furniture itself exudes. I am very pleased with the results and hope that my clients’ customers are able to make well-informed choices when seeing the products via these photographs online. If you need product photography – large, small, indoors, or on site – please give me a call to discuss your requirements.